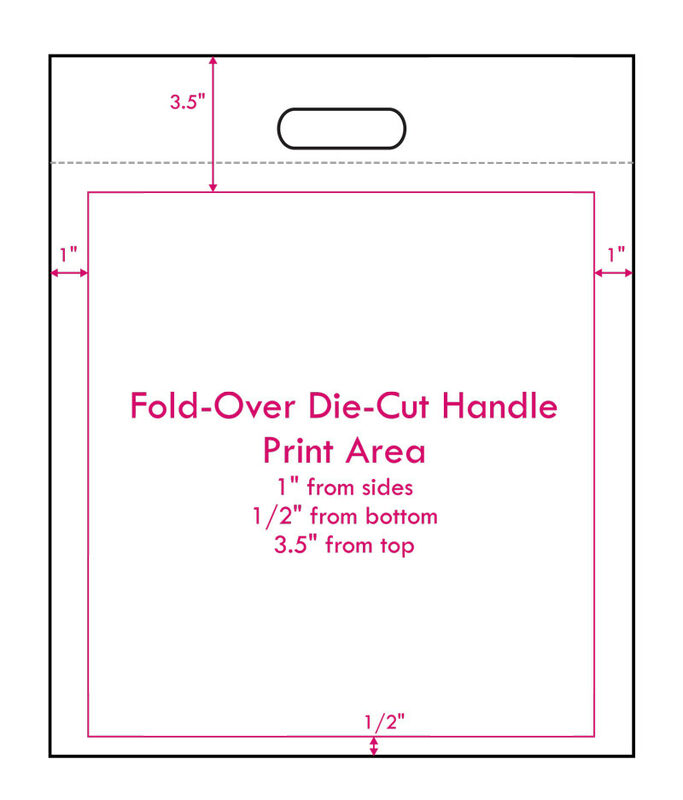 Measurements below are a general guideline for printing on Fold Over Die Cut Handle Bags. The top edge of the bag is folded over and sealed just below the handle, approximately 3" down from the top of the bag. Printing across the seal is not recommended as it prevents proper sealing. We recommend that art start at least 4" down from top of the bag. Printing in the top of the bag is possible, but it must sit between the top and fold over seal. This means art in this area can be no higher than 1". The width of the handle hold is approximately 3.5" wide, and critical print should not be within 1" of the handle sides.